Poetry and visual art come together on April 17 at the Annual SJMA Poetry Invitational. Poets write pieces inspired by work in the exhibit “Initial Public Offering” then read their poetry side-by-side with the art. 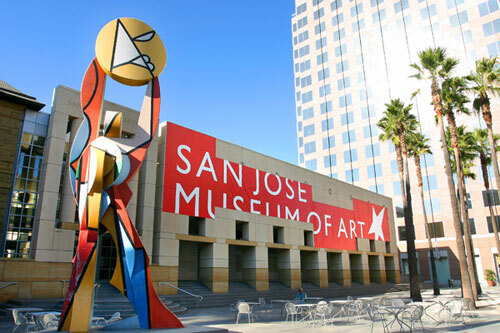 Join us for what has become a proud San Jose tradition. Special thanks to Poetry Center San Jose for co-sponsoring this event. Featured poets include Jason Bayani, Kimberly Cates Escamilla, Evan Karp, Jennifer Swanton Brown, Jasper Haze, Claudia McIsaac, Sally Ashton, Nils Peterson and myself. Looking forward to seeing–and hearing–everyone there!